Sign up to my newsletter and you can enter the free draw to win this signed limited edition print of an allotment worth £120. A bit about The Allotment show. 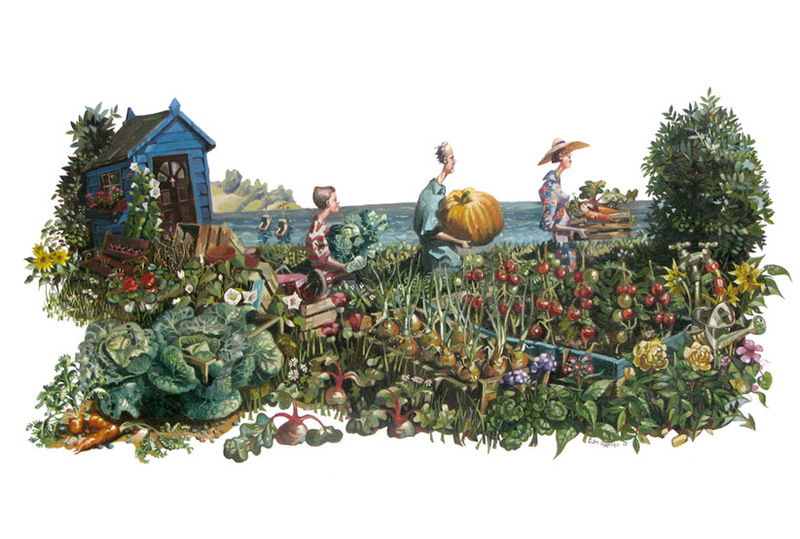 The painting is based on an event at my mum’s allotment. As the growing season nears its end, the members organise an “Allotment show”. Quite a jovial affair. They pitch a large marquee, have a jumble sale and sell cake. At least thirty varieties of cake. So much cake! Woohoo, that would go great withthe one I currently have!! Good luck to me. Paintings to always make you smile love the detail.